The other day at Etnico Eco Hostel we had a special guest. His name is Gregor Seibock and he is from Austria. Last Friday he gave a talk about his movement towards simple living and his three year walk from Austria to Japan to promote his believes. He is now set off to walk Patagonia, again, with another Austrian women. He is supported (sponsored) by Patagonia. 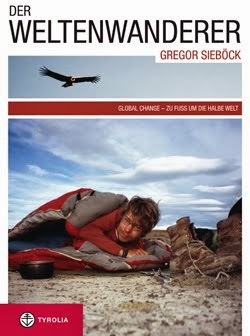 He has written a book called The World Wanderer, however, at this time it is only in German.